Do your part to secure a healthy ocean for people and our planet. The Ocean is probably the biggest business in the world. It provides half the oxygen we breathe, it has absorbed a quarter of our CO2 emissions, and puts food on our plates. But it is in danger. You may not be able to see it from above the surface, but the threats are many and the risks are real: plastics are choking our sea life; pollution is causing ‘dead zones’; our corals are dying; climate change is heating our Ocean, making it more acidic; and too many boats are chasing fewer and fewer fish. Yet it’s not too late to solve this crisis. The Ocean is amazingly resilient and could recover, but it needs each and every one of us to play a part. We need business leadership more than ever in the absence of political leadership and will. Whether your company’s business activities are linked directly to the Ocean or not, there are many actions that can be taken that will have a direct impact on promoting a healthier, cleaner, safer and more productive Ocean. 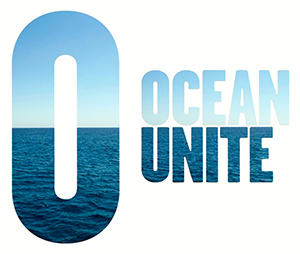 Uniting and Activating Powerful Voices for Ocean Conservation.